Whether you’re buying a home for the first time, or the fifteenth, it’s important to know what condition it’s in. Issues with the property could affect the value, land you with work – or put you off the purchase entirely. That’s where a survey comes in. But with different types on offer, which should you opt for? Our expert advice will have you survey savvy in no time. Is a survey the same as a valuation? The short answer is no. If you’re buying a property with a mortgage, your lender will ask for a valuation – which you’ll generally pay for yourself. The valuation forms part of the bank or building society’s consideration of whether to lend you the money to buy the house. The valuation only tells the lender if the property is reasonable security for the loan and does not tell you anything about its condition. Therefore, for most purchases you will also need a survey and will have to decide on which type. What types of survey are there? If you live in Scotland, a home report is prepared before a property is marketed and this includes a survey and valuation. There are different levels of survey available, providing different levels of detail and with costs according. Home condition reports are best for a conventional modern house, flat or bungalow constructed from common materials and in reasonable condition and are offered by members of RICS (the Royal Institution of Chartered Surveyors). It’ll rate the condition via a traffic light system, and show up issues that need attention. This is the most basic survey and the least costly. 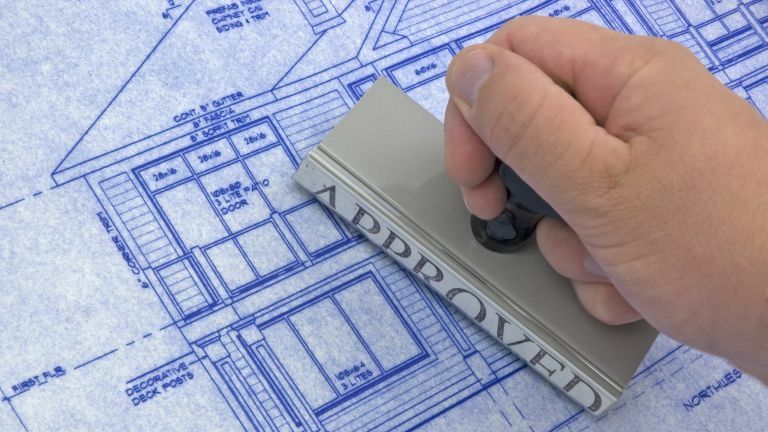 HomeBuyer reports – offered by RICS members – are also suitable for a conventional modern house, flat or bungalow, or if you're buying an old property in reasonable condition, constructed from common materials. However, you’ll get a more extensive inspection, and extras such as a list of problems that could affect value, advice on repairs and maintenance, details of issues that need to be investigated to prevent damage or danger, and more. Bear in mind that while this is a more detailed report, this type of survey is non-intrusive and the surveyor won’t lift up fixed flooring or move heavy furniture, for example. If you opt for a HomeBuyer report that includes a valuation as well as a condition report, make sure that your surveyor’s valuation will be accepted by the mortgage lender, or you’ll end up paying for another mortgage valuation by a surveyor who is on the lender’s panel. Home condition surveys are an alternative type offered by the Residential Property Surveyors Association (RPSA). These include a full inspection and comprehensive report. Full structural or building surveys are best for large, old, run-down, or unusual properties, and are also suitable if you’re planning a lot of work. This is the most expensive survey, but will give you the most detailed information on structure and fabric. RICS and RPSA members both offer these high-level surveys. What if you’re buying a new-build house? A new-build home should offer the NHBC’s Buildmark, a two-year builder warranty backed by the NHBC, then an eight-year insurance policy for damage to the home caused by a failure to build to the body’s requirements. However, if you wanted, you could have a snagging survey that identifies smaller problems as well as issues that could affect the structure. You could then ask the developer to remedy these before you move in. What sort of survey does a flat require? A survey for a flat needs as much consideration as that for a house. If the flat is in a modern, conventionally built block a condition or HomeBuyer report could be sufficient. However, if the flat is in a large, old building or a listed building, a building survey could prove well worthwhile. Who can carry out a survey? A survey should be carried out by a qualified surveyor. Find a surveyor via RICS or RPSA. If you’re buying with a mortgage, you could arrange the survey along with the mortgage valuation as a package – and your lender may stipulate that it chooses the surveyor to undertake both. Otherwise, you can arrange the survey separately. Always tell the surveyor if you have any particular concerns. Can I change my offer if the survey finds an issue? You could re-negotiate with the seller if the survey finds out that expensive work is required, and the price doesn’t reflect this. Of course, that doesn’t mean the seller will accept a lower offer, and if he or she won’t, whether you carry on and pay for the work or pull out before contracts are exchanged will be your decision. Looking for more expert advice on buying a property?